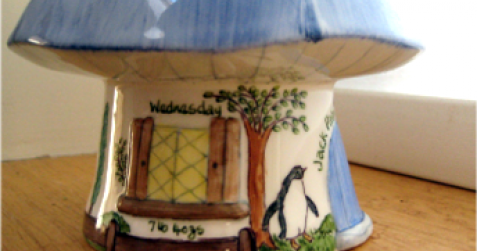 Here you will find hand painted bone china and porcelain of many different shapes and sizes from tiny tooth fairy pots, mushroom money boxes, photo frames to saying plaques, plates vases and celebration cards. 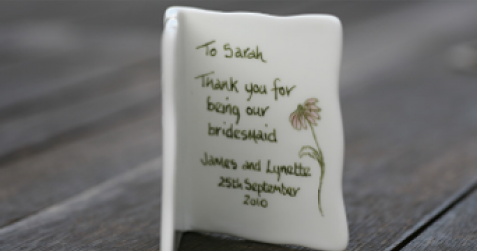 All these can include personal details of births, christenings, weddings and anniversaries along with memories of loved ones. I also match fabrics, use my own designs and happy to work with my clients ideas to create a unique piece, test firing the colours where needed. 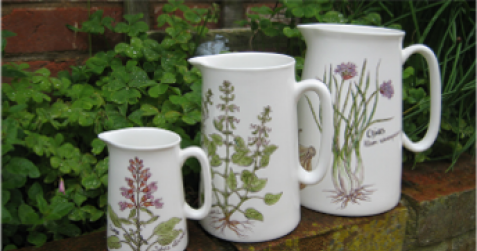 I use on glaze colours and only work with good quality bone china and porcelain. 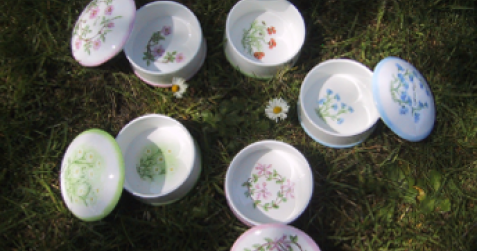 Each piece is individually hand painted by me and fired in a kiln to ‘lock in’ the colours. 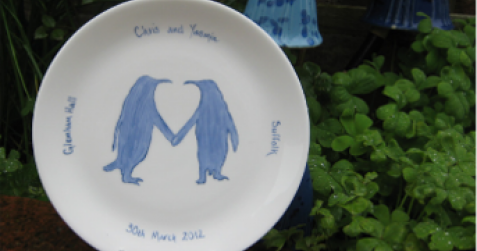 For you I can hand paint and design unique pieces or gifts for your special occasions. 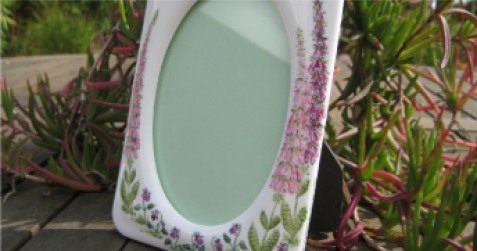 If you would like to give a really unique,hand crafted gift for a special occasion or person please send me details of your requirements in the form below.